The Elvis Presley estate is involved in a dispute over royalties. The Elvis Presley estate is currently involved in a dispute with Sony over royalties. A story on Billboard Online outlines some of the details of the dispute. The full story is found here. 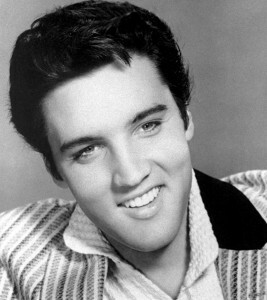 The dispute stems from a buy-out deal between Elvis Presley, his manager “Colonel” Parker and Sony’s RCA in 1974. The deal was for $5.4 million. The Elvis Presley estate was seeking accounting records from Sony Affiliate and RCA successor Arista. Since that time the Elvis Presley estate has sought “equitable remuneration” under German law by utilizing extensions of copyright terms. The Elvis Presley estate recently sought further records in New York, USA, while a German Court dismissed the “equitable remuneration” claims. A U.S. District Court Judge rejected the Elvis Presley estate’s request for more information from Sony on March 1, 2016. This was done partly because Justice Denise Cote decided that a German Court may order Arista to produce the exact information that the estate is seeking from Sony. This has put the estate in a position where they have to appeal the original decision of the German Court and hope that they are successful on appeal. A ruling on this issue will have an impact on the amount of royalties the estate will be able to receive in the future. Although this matter stems from transactions made many decade ago, many of the issues pertaining to royalties are still being litigated. Estate litigation involving the future earnings of a superstar musician is not uncommon. This is especially true given the fact that future earnings are often in the tens of millions of dollars. Jimi Hendrix is another example of a musician whose estate has been involved in litigation for decades. The Hendrix estate dispute was the result of his premature death without a Will. In both cases the disputes were over the parties’ interests in future earnings which appears to be increasing every year. It will be interesting to see what will happen on appeal to the German Court in the Presley dispute.